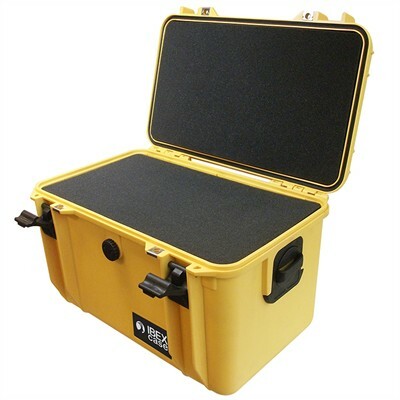 Ibex cases made with rugged molded polypropylene comes in range of sizes that are suitable for outdoor rugged environment. They are dustproof, water tight, temperature resistant from -20 to 80°C (-4 to176°F) and comes with pressure release valve to protect pressure sensitive instruments. Removable, customizable pre-cut cube foams are included with the case.